Though there are no restricted areas in Nepal for trekking any longer; previously restricted areas are known as special trekking areas. The previously restricted areas were considered sensitive in terms of environment, culture and political points of views. The special trekking areas fall basically among less visited mountainous region; thus remain attraction to many of the trekking enthusiasts. Most of the special trekking routes in Nepal fall in the border of highly sensitive geography of Tibet, China, and conservation areas. For such restricted areas separated charges and special permits are required from Immigration Department. 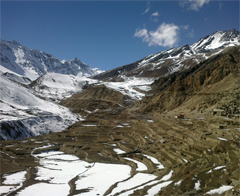 The trekkers here have to take minimum two customers and supplementary permits form the Department of Immigration. Kangchenjunga, Manaslu, Naar, Phu, Upper Mustang, Tsum valley, Dolpo, Shey-Phoksundo, Mugu, and Humla are called special/restricted areas trekking areas. To well manage trekking in such restricted areas recently The Trekker Information Management System (TIMS) has been introduced and a separated desk for it also has been established. The independent trekkers should produce TIMS cards provided by the system at checkpoints of conservation area and national park entry. Government of Nepal in an attempt to lessen the environmental impact in such areas imposed restrictions but sometimes it is considered for financial gain too. The trekking agencies are demanding to make them more accessible to all the trekkers in easier manner. In some areas government only allows the group to trek if they are ready to take special officers (environmental, security) who are supposed to guide them properly telling them what to do and what not in such areas. 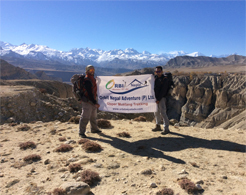 Ganesh Himal Trekking route is famous route more because of its nearness to Kathmandu and Pokhara both. Despite being near to the tourist cities still an undamaged Ganesh Himal region includes the great Himalayan chain Ganesh I, Ganesh II, Ganesh III, Ganesh IV, a spectacular mountainous panorama contained between the valley of the Budhi Gandaki and Trishuli River. It offers a combination of rich cultural heritage, unsurpassed beauty and a great bio-diversity. Ganesh Himal is a sub-range of the Himalayas located mostly in north-central Nepal, but some peaks lie on the border with Tibet region . It is one of the most interesting place to trek in Nepal. One of the shortest treks in Nepal that is named as ‘Royal Trek’ because it received Prince Charles and his men almost three decade ago; is one of the shortest trekking routes in Nepal. It is for the people who want to have mountain experience in a shortest possible time. Starting from Pokhara this trekking route that goes along the Annapurna basin with spectacular views of most beautiful lakes in the world where Mt Fishtail dives into water and breathtaking views of Annapurna mountain range in the background. Royal Trek offers magnificent cultural experiences mixed with natural beauty. 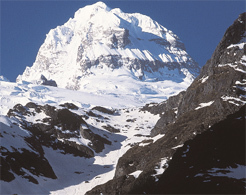 Nar-Phu is one of the newest trekking areas in Nepal. More of a cultural excursion trekking region Nar and Phu are ancient villages comprising ageless way of life in Tibetan model. Generally combined with Annapurna Trail trekking Nar-Phu trekking route is full of exhilarating rugged landscape and jaw dropping vistas. Just opened in 2002 Nar-Phu trekking area follows the Annaprna Circuit via narrow canyons, forests, Monasteries surrounded by some of the tallest peaks in the world. Narphu Trekking is one of the most important religious sites in Nepal Himalaya, also popular for its landscape features and Himalayan views in Annapurna Himalayan range. 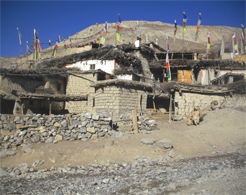 Mostly known through movie and books like ‘Himalayan Pilgrimage, ‘The Snow Leopard’ and ‘The Caravan'; Dolpa region remains still a mystery for many. The trekking route that reflects a mixed cultural (Nepali and Tibetan) lifestyle; Dolpa Circuit comprises Dhaulagiri massif to the Tibetan (ranging from 1650 m/ 5,412ft to 5136 m/16,846ft) highlands including Shey-Phoksundo National Park with the deepest mountain lake in the country. Upper Dolpo is basically a Tibetan region in the West of Nepal; we can see many Buddhist and Bonpo (shamanistic pre Buddhist) monasteries on the way to Dolpo. The Dolpo region full of amazingly beautiful and thrilling viewpoints. 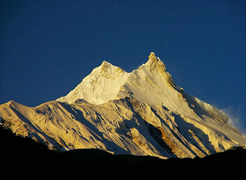 Manaslu Trekking Route is for the trekking enthusiasts who love to have mountainous adventure but prefer to be away from highly busy routes. Though relatively a newer trekking route; Manaslu (8,156m/ 26,758ft) region offers astonishing views of surrounding mountain and a cross country cultural experience. Manaslu trekking that is considered as alternative route to the busiest route in the nation Annapurna region; is homeland of the Tsum Valley, Jomsom mountain desert along with many snow capped breath taking views. It begins to get more serious with the start of the ancient of the Gandaki River valley. Located at 3200 meters from sea level, Rara is 167 meters deep covering area of 10.8 square kilometers. It is known for the various colors of the water at different times of the day. 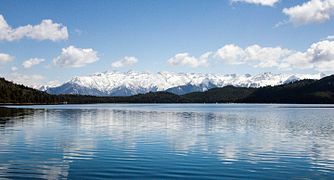 Situated inside Rara National Park, Rara overlooks a scenic mountainous panorama including Sisne and Kanjirowa Himal. To the north, it stretches up to the Tibetan frontier. The lake is a few days trek from the mountain airport at Jumla, the most usual starting point for Rara Lake trek. Trekkers using the air route should be aware of the pre-bookings because planes are not regular and tickets are not so easily available. There is an alternative trekking route to Rara from the area of Dolpo to the east and Khaptad National Park to the southwest, while Karnali highway is already in operation making it easy access Rara. Trekking to Nepal’s largest lake, Rara is mainly popular during summer, spring and autumn. Rocky terrain and views of rare mountainous wild animals are primary attractions. Kanchanjunga is the majestic mountainous region in the eastern part of Nepal. ‘Kanchan’ means beautiful in Nepali and the third highest peak (8586m), is named as the most beautiful peak in the nation. The region is also one of the most loved trekking routes. 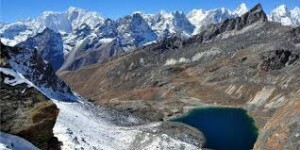 This trek offers views of four of the world’s five highest mountains along the way including Mt. Everest, Mt. Lhotse, Mt. Makalu and Mt. Kanchenjunga itself. 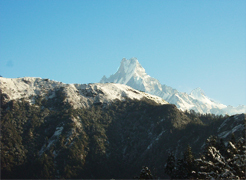 Kanchenjunga trekking is considered best during autumn and spring. Home to exotic species like elusive Snow Leopard, Himalayan Black Bear, Red Panda, Must Dear and exotic species of birds, Kanchanjunga is best to observe exhilarating natural beauty and ecological variety at once. It is comparatively less crowded region than other tourist destinations in Nepal offering rugged adventure. The region features a blend of Nepal’s ethnicities including Rai, Limbu, and Sunuwar collectively known as ‘Kirat’. 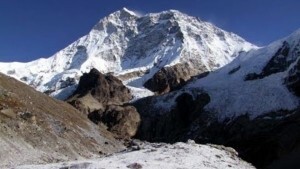 Makalu base camp trek, the home of world’s fifth highest mountain Mt. Makalu, is renowned destination among the adventure lovers. If you admire the natural beauty and snowy peaks beside the wilderness this is the place you have wished for. The most isolated and exhilarating in the nation, the Makalu base camp trek is one of the most popular trekking routes. Featuring the fifth highest peak in the world, Mt. Makalu, the trail passes through serene jungle and village in the mid-hills taking us up to the sacred alpine landscape of Makalu-Barun National Park. The neighboring regions are Sagarmatha National Park and Khumbu region the most see regions in the Himalayan Kingdom. Upper Rolwaling trek is all about thrilling adventure in tranquil forests with the picturesque village and jaw-dropping mountain views. A Ten-day trek from Kathmandu valley, in the Upper Rolwaling Trek, enthusiasts could ascend up to the altitude of 3,800m from sea level. Rolwaling is camping trek and requires Gauri-Shankar Conservation Area permits.Located in eastern part of Nepal, Rolwaling borders the Khumbu region where the highest peak of the world Mt. Everest towers the planet. The region is the homeland of the Sherpa ethnicity, a typical section of mountain friendly population. The Rolwaling region is known for remote landscape and rugged trails relatively undiscovered by tourists and trekkers.